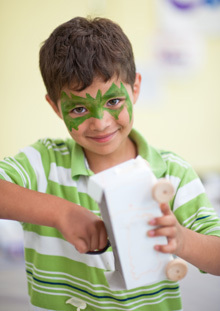 Galileo Learning is the only bay area day camp that allows kids the opportunity to not only create, but innovate. With healthy daily lunches and fun themes each week, this summer camp is ideal for pre-K through 5th grade. Best of all, they are offering a discount code for those who register before June 1st. Camp Galileo (Pre-K – rising 5th graders): Campers engage in hands-on art, science and outdoor activities every day, plus have tons of fun with camp traditions like team color day, water ball and capture the rubber chicken. Galileo Summer Quest (rising 5th– 8th graders): Campers try their hands at the things they love, diving into one exciting major during each weeklong session, with options like Go-Kart Makers, Fashion Design, Video Game Design and Chefology. The Tech Summer Camps (rising 4th-8th graders): Hands-on science and technology classes for aspiring scientists and engineers at the Tech Museum in San Jose. Chabot Space & Science Camp (rising 3rd-7th graders): Fun engineering, technology, earth and space science classes at the Chabot Space and Science Center in Oakland. We started in 2002 with one camp in Palo Alto with 200 campers, and now operate camps at 33 locations across the Bay Area, serving over 30,000 weeks of camp! Q: Are there any special lessons or experiences you are trying to provide during the camp? A: Galileo Learning’s mission is to develop innovators who envision and create a better world. All of our summer camps embrace that mission through the Galileo Innovation Approach, which encourages campers to develop an innovator’s mindset, teaches them a process for innovating and helps them gain the knowledge they need to develop their ideas. Our camps are designed to bring out the Galileo Innovator in every camper—inspiring and empowering kids to make their creative mark on the world. Q: What surprises/delights the kids (or parents) most about your camp? A: Campers love Galileo summer camps because they’re really fun. But parents tell us what keeps them coming back is the impact our programs have on their campers’ confidence and creativity long after the summer ends. We do it with exceptional staff, thoughtful curriculum, an innovative approach to learning and plenty of fun! Q: Do you have any new and/or exciting features that have been added to your camp this year? Q: Do you offer any promotional discounts to those who register early? 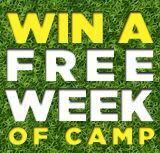 A: We would like to provide a discount of $20 off per camper! Enter code: SIGNUPFORCAM2012 when you register, and save $20. We are offering this until June 1st. This entry was posted in Uncategorized and tagged art, bay area summer camps, kids, music, science, technology. Bookmark the permalink.